Sunrise. It’s totally underrated. Sunset gets all the glory, but I prefer its early morning counterpart. I’ll give you five reasons why you should take in sunup soon. Our days fill up with so much “noise”. Dawn is generally “quiet time” before literal and figurative noise makes its way into our day. I certainly can’t remember a time I woke up at the crack of dawn and thought “gosh, it sure is chaotic out here today”. You can’t rush sunrise. The sun comes up when it comes up. Sure, we know when that will happen and you can plan around it, but ultimately you’re on the sun’s schedule. Patience requires practice, and developing patience is thought to lower stress levels, stabilize emotions and even increase professional success. Instead of practicing patience by standing in lines or recognizing when we are behaving with impatience, I’d suggest catching daybreak as a way to practice this skill. Plus, you’re rewarded for your patience with something beautiful. Every dawn is different. You may have a general idea what to expect, but many factors affect each break of day like air quality, wind, cloud cover, humidity and more, making each day a surprise. Sunsets may be beautiful, but most people just need to pause their day for a moment to take one in. Sunrise on the other hand requires at best a pause in a usually hectic morning routine, or sometimes even dragging yourself out of bed at a crazy early hour — and always in the dark. Although daybreak can be more inaccessible and inconvenient, the reward is spectacular. Sunrise is often used as a metaphor for a new start, but it’s also quite literally the fresh start to a new day, every day. 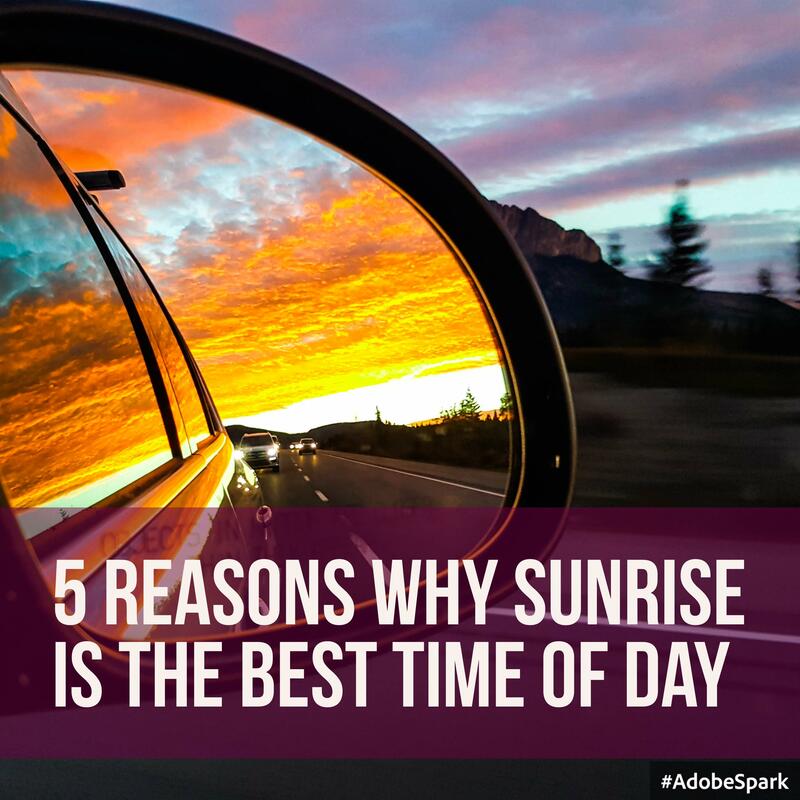 Observing sunup leaves you feeling excited and energized, ready to take on the day! Sunrise may take some effort, but don’t let that discourage you from experiencing this underrated time of day. You will be rewarded with a beautiful sight while developing skills to help you stay physically, emotionally and professionally patient. There’s no better way to start a day!